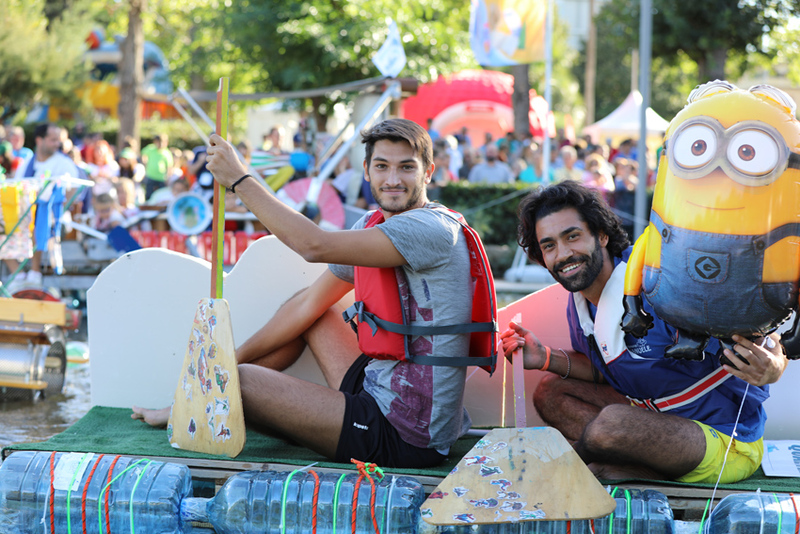 Also this year, the SUNRISE 1 Amateur Sports Association, in collaboration with the Network Associations, has decided to repeat the initiative placing the IX edition of FAI LA DIFFERENZA , C’E’… RE BOAT ROMA RACE in September 2018, the first regatta in Italy made of boats built with recycled materials, an event that includes a series of activities that have embraced the philosophy of sustainability, through sport, art and culture. The project will see the creation of widespread areas of art studios, entertainment workshops and musical performances that will merge into RE BOAT ROMA RACE 2018. 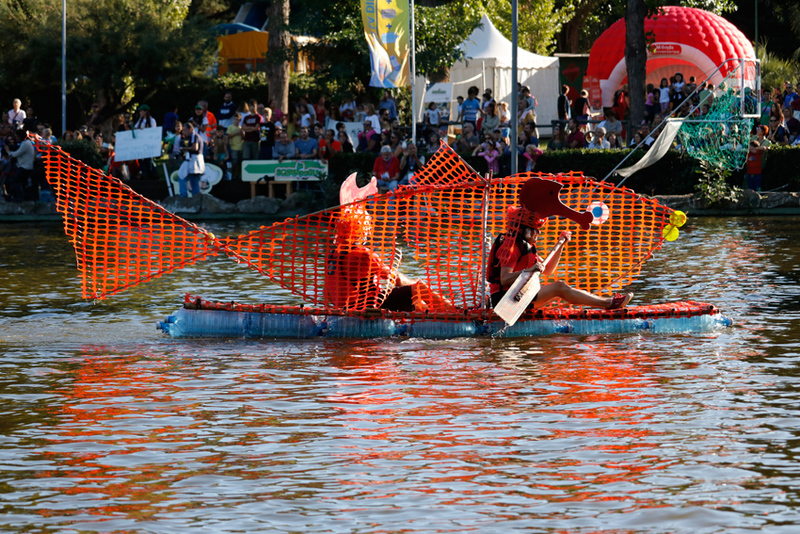 The event enjoys a good reputation for the Institutions about important social and cultural purposes, especially the Recycled Regatta, which has been defined as the most insane and colorful event of the latest summers and which has aroused considerable enthusiasm and attention among the public and the media. 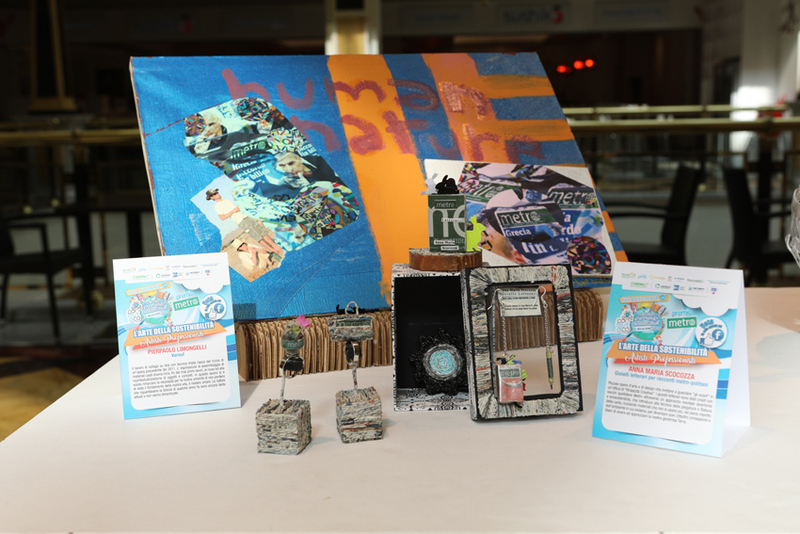 The event aims to spread among young people and to remind adults about the issues of recycling and respect for the environment in general. The projects that follow one after the other have been created with the idea of trying to explain in a funny and playful way (through game, sport, entertainment) what is the most correct way to recycle and reuse waste, to highlight the "virtuous" paths that some sector companies implement to bring glass, plastic and paper back to life, defending the environment; to better understand the concepts of sustainable development and words like "smartcity"; to sensitize citizens - young and old - to always behave with civic sense in respect of their urban territory and the environment in general, with the aim of improving the quality of life in the future; to raise awareness and increase a greater civic sense. Recycling waste through separate waste collection and to transform them into reusable materials and discover new sources of less polluting energy; highlighting the "virtuous" paths that some companies in the sector implement to "make resources" and bring new life to glass, plastic and paper. Defending the environment is a civil obligation to be pursued to save the raw materials of the planet and to safeguard the environment. Each of us in his small must also always behave with civic sense, respecting its urban territory and the environment that surrounds it. it is "en plein air" sport in all respects, with particular attention to design, which allows to live in contact with the environment and the nature; to breathe and to listen to the planet. And the energy that is produced to practice it is clean and renewable: there would be enough to learn from what nature has already achieved over the centuries. On the other hand, many sports in which appendages are used - we talk about sailing, canoeing, rowing - can, through research, demonstrate that protecting the environment can be done and must be done: precisely through the recovery, the reuse and the recycling of materials many new boats are produced; or even surfboards that are the typical example of clean energy sports. it is a recreational initiative based on the clarification and the diffusion of the most advanced principles of the status of Life Cycle Assessment. The LCA is a method that supports the assessment of the impact of a product or a service on the environment throughout its life cycle: the organization considers the Life Cycle all the path from the ideation of a product or a service – choosing defined methodologies and techniques - up to the effect of the product on the environment when it has lost its function and its value. 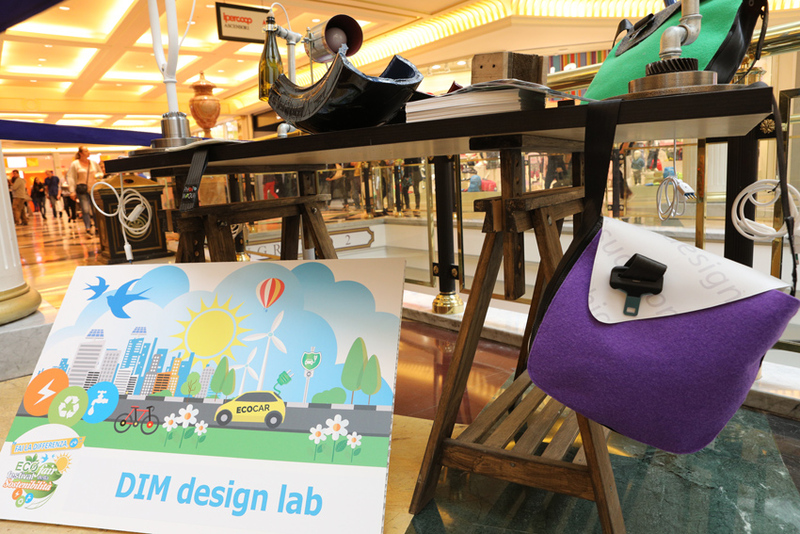 it is a challenge of artistic design, of innovative solutions, of handcrafted craftsmanship and above all an ecologist one, which every year attracts enthusiastic and curious people who want to test themselves in this funny activity. 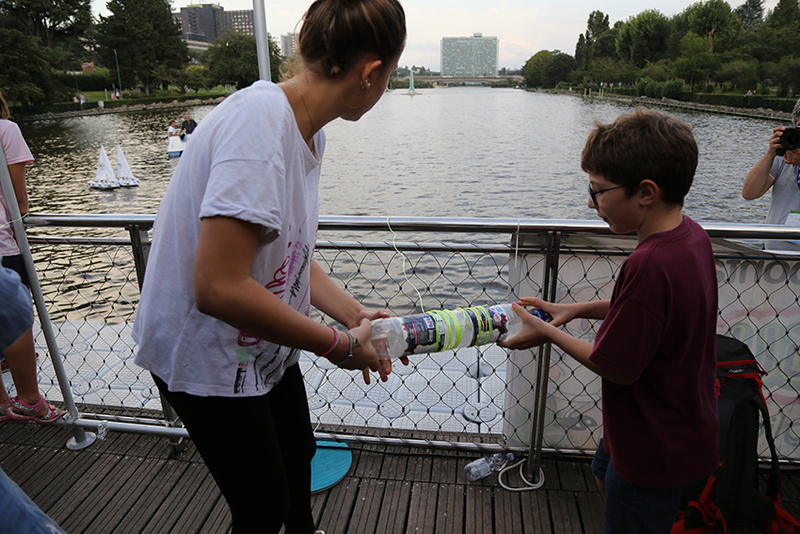 Teams are made up of families, companies, groups of friends and compete each others with bottles, milk cartons and other recycled materials in an absolutely innovative regatta. The only requirement is: lots, lots of imagination so that your boat would be "colorful and crazy", could marvel the audience, could float and go very fast just with clean energy. It is precisely through the recreational and socializing aspect of sport that significant messages can be launched without rhetoric. Sport is preparation and action; it is involvement and passion; it is challenge and achievement of results for excellence: this is what it takes when we speak about sustainability and the ENVIRONMENTAL HEALTH STATUS: the words are zero, waste or the polluting gases that we produce are not. This is why we have imagined that the combination of sport, environment and awareness are essential: thanks to sport, we want to say "YOU CAN DO IT... it only takes a little effort". In fact, the project invites us not to stop at appearances, an attitude that often also compromises our social relationships. We need a strong cultural change in everyday lifestyle, which can change the structures and the behavior of citizens and the "Governance". With "FAI LA DIFFERENZA, C'È ... RE BOAT ROMA RACE" we want to get this change to have a significant social and civil impact; we want to talk to a wider audience, with the aim of achieving, day by day, that slow and yet undelayable and unstoppable cultural change, which we’ll hope. But the path we want to illustrate is even more virtuous, reaching to talk about zero waste: the boats that participate in the most insane and colored recycled regatta at the end of summer, are in fact "differentiated" during disposal: plastic with plastic; wood with wood and other material with other recyclable material. 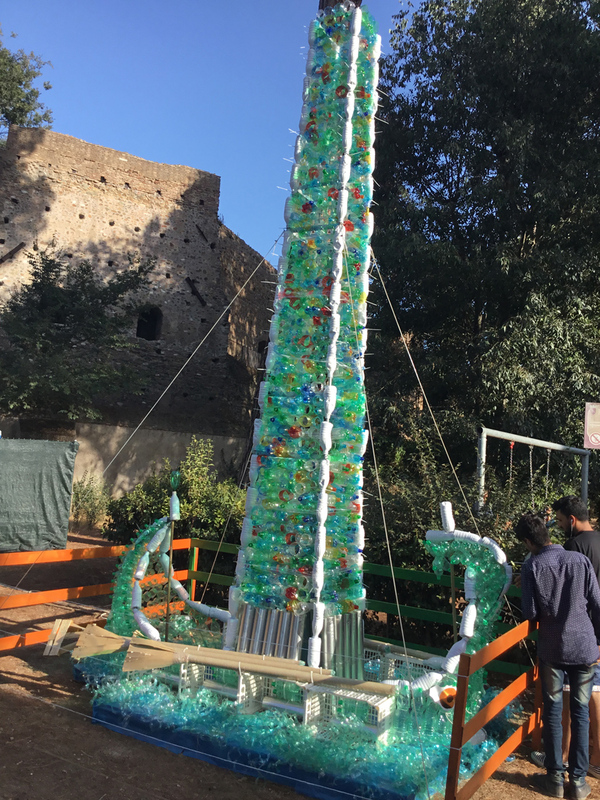 In the last edition of RE BOAT ROMA RACE, joy and creativity formed the basis for the success of the VIII edition of THE RECYCLED REGATTA, a unique and innovative project in the field of eco-sustainability. 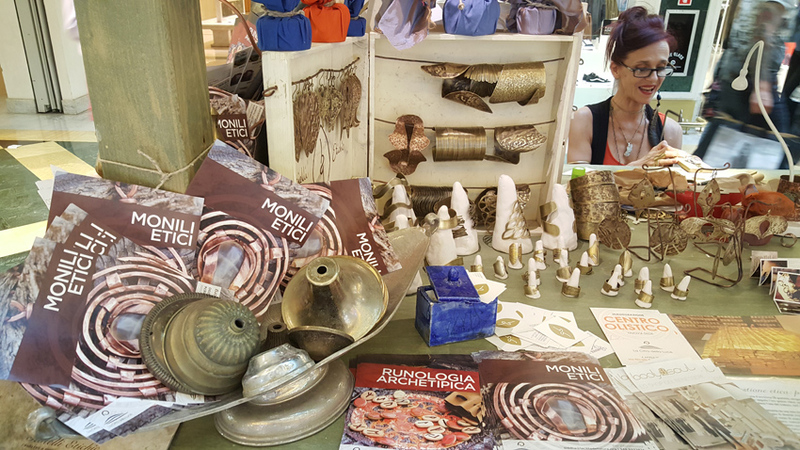 Success also decreed by the many visitors and by the many supporters who participated in the project all ‘FAI LA DIFFERENZA’ held from 1st to 13th September at the Euroma2 Shopping Center and from 14th to 17th September in the beautiful setting of the Central Park of EUR lake. 9 months of "always strongly visible" initiatives (January - September 2017) both online and off-line, through the participation - WITH A TWINNING FORMULA - in major events such as LA CITTÀ IN TASCA, an historical and twenty-year event of the Roman summer dedicated to families and their children and young people, and LE VOCI DEL BOSCO with music, urban art and creativity to promote sustainability. 3 different online Advertising activities: the first to promote the creation of Green Teams; the second to promote the overall event from LE VOCI DEL BOSCO to ‘’FAI LA DIFFERENZA, C’E’… RE BOAT ROMA RACE 2017’’; the third to promote the recycled regatta. 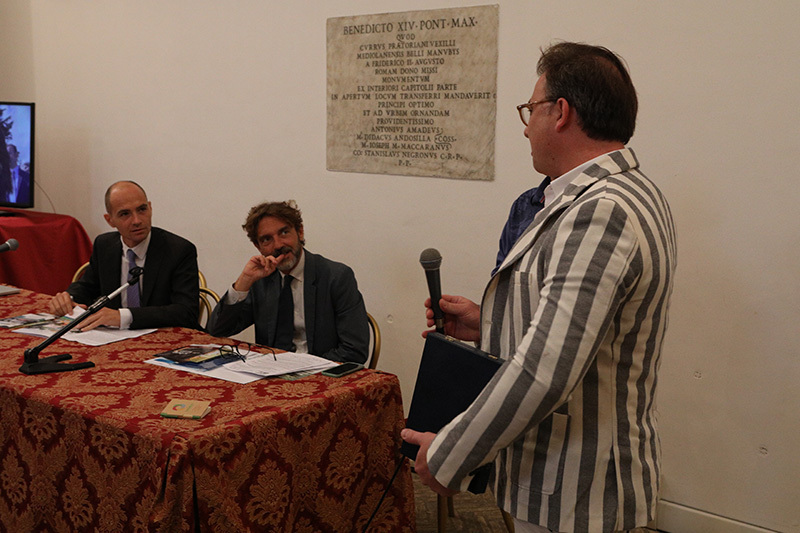 We want to highlight that for this edition we also had the support, the participation and the patronage of the Ministry of Environment and Protection of the Territory and the Sea, of the Lazio Region, of the Metropolitan City of Rome, of Rome Capital and of the Municipality of Rome IX; in addition ENEA, FISE UNIRE, FISE ASSOAMBIENTE, NATIONAL AGENCY FOR YOUTH; finally CONI, Italian Sailing Federation, Italian Rowing Federation, Italian Canoe and Kajak Federation and Italian Volleyball Federation. We also want to make it known that we have had the active participation of the various National Consortia of the supply chain in the recovery and recycling of packaging such as COREPLA, COMIECO, RILEGNO, and RICREA and other active entities - including the EUROMA 2 Shopping Center and the Centrale del Latte di Roma - Parmalat Group - with their MISSION to promote the values of environmental sustainability. The event that has been characterized in these past seasons by the great public participation, the great emotional involvement of the teams and the important media impact that has created great visibility and strong redemption, will include a series of activities that, embracing the philosophy of sustainability, through sport, art and culture, will compose the games, the sports, the cultural and ecological structure of the initiative. Among these, the creation of an eco-friendly territory will see widespread spaces of ateliers, laboratories and entertainment completely made with recycled objects and each one dedicated to a specific material (wood, plastic, aluminum, steel, paper). This widespread space dedicated to sustainability will see its birth in the territory of Rome, involving the Scipioni Park, the EUROMA 2 Shopping Center and the Central Park of EUR lake in Rome, and it will be also above all a meeting place for socialization, a reference point dedicated to workshops and laboratories to disseminate and make citizens aware of the best management of activities about separate collection of waste, and the discovery of renewable energy and sustainable mobility. 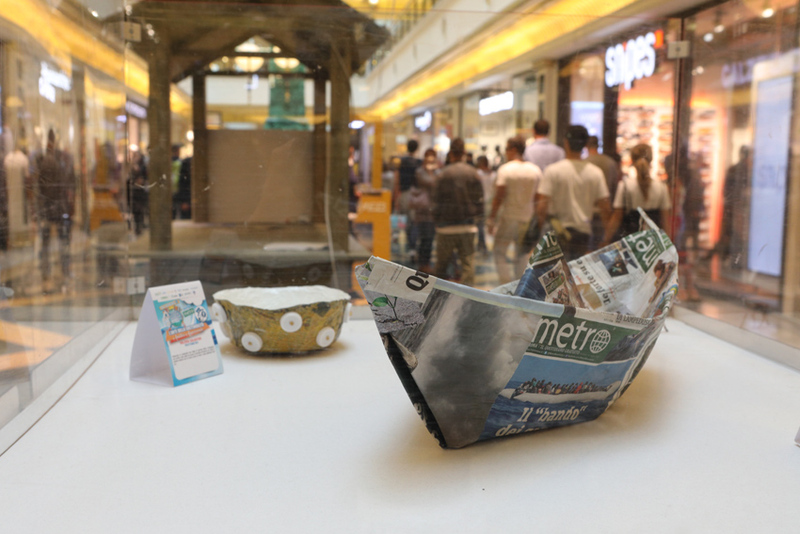 This year the collaboration with METRO News Italia will bring an International novelty: in the various Italian cities and European Capitals where the free press METRO is present, a contest will be launched to design, build and participate in September with its own recycled boat and representing its own metropolis, at the RE BOAT ROMA RACE INTERNATIONAL. Territory and event will thus become more GLOCAL and more INTERNATIONAL. The Green Teams from all over Europe and from the territories of the Lazio costline will then compete in an absolutely innovative regatta at the Central Park of EUR lake. 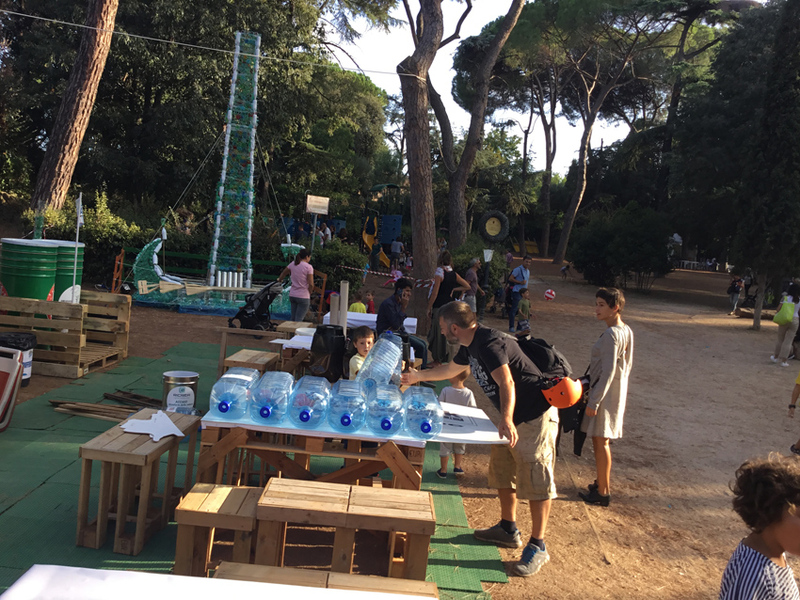 So beyond the RE BOAT ROME RACE, the IX edition of "FAI LA DIFFERENZA, C'E '..." provides a series of activities that, marrying the philosophy of sustainability, through sport, art and culture, will improve more and more and they will complete the initiative. Let's go to discover all the initiatives and place them for locations and dates. CONTESTECO, an online contest which involves the participation of recycled artists or art enthusiasts that have a mania for the environment; the contest is an integral part of the overall project that becomes real, and shows works of art that tell, through photographs, shorts, narrations and artistic creations, in a "transmedia" approach, the defense of the environment, of the sea and of the territory, by means of concrete activities that, protecting the scarce resources of the planet, provide solutions to the problem of waste, energy and mobility in an "eco-sustainable" way and allow to explain the concepts of smart city, circular economy and Sustainable Development in a better way. CONTESTECO, the most ecological online contest about sustainable art and design of the web, is thus an opportunity for intercultural meeting that, through the mixture of professional and amateur artistic experiences, aims to communicate with a universal and "crossmedial" language such as VIDEO - PHOTO - ARTISTIC and CREATIVE NARRATION, different points of view and differences of thought that make the richness of a new path that allows to reach a full action of sustainable development for the planet. 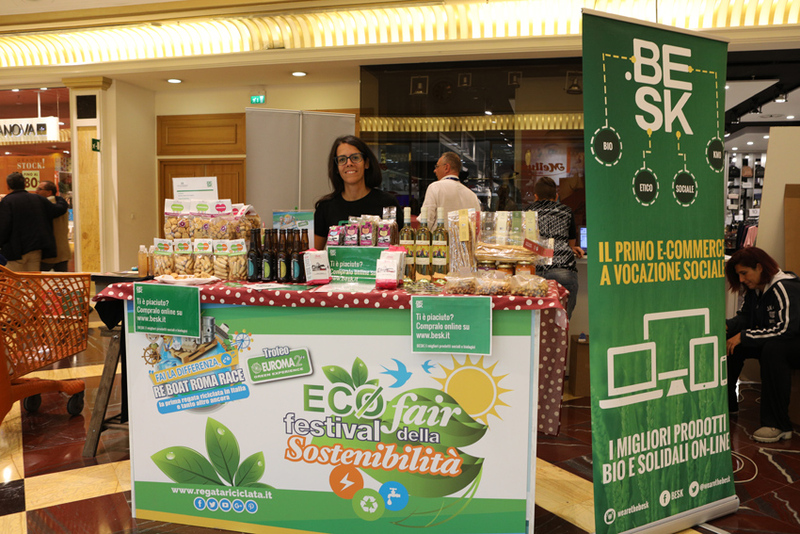 the FESTIVAL OF SUSTAINABILITY with ECO - FAIR, in which ideas and proposals related to the protection of the environment will be presented by the Federations and Associations that gather together and represent sector companies, involving companies that innovate and sustainable craftsmanship: a small ECO - FAIR where artists, artisans, companies, associations and federations, and all the realities of the EUROMA 2 Shopping Center, pay attention to the concepts of sustainability, that can be known by the general public. They illustrate their activities and those of their Associates, to promote those products and / or those good practices that make it possible to spread and sensitize citizens on the issues of recovery, reuse and recycling, and the respect of the environment; on clean and renewable energy sources and on the knowledge of the concepts of "sustainable development of the planet". All of this happens inside the Euroma 2 Shopping Center, one of the largest and most elegant one in Rome, known throughout Europe and boasting a turnout that fluctuates between 18,000 and 24,000 visitors on weekdays, reaching 60,000 on weekends. RE COOK SHOW, a real Show Cooking dedicated to the Recovery of Tradition and to the Re-discovery of the Genuine Products, which will involve some entrepreneurs and producers in the world of "food & beverage" and catering, some chefs, bloggers and cooking enthusiasts who, with excellent products to hand, will tell the story of some dishes of Mediterranean culinary tradition that will be "recovered and reinterpreted" and they will prepare new recipes and dishes by combining the "waste" of the kitchen with quality products made in Italy. the ECO GAMES that will remember the so exalted "THE WIDE WORLD OF SPORTS" all in an ecological key. 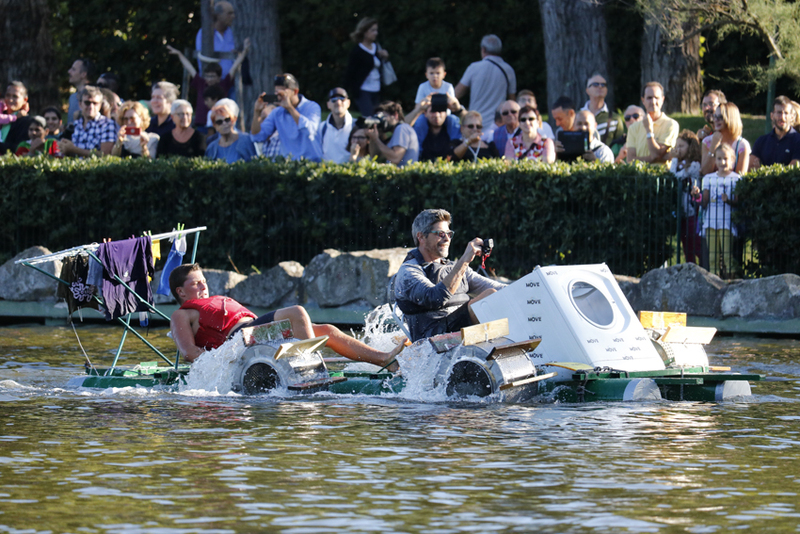 They are a playful challenge that will make the RE BOAT ROME RACE more sporty and exciting, during which the already existing Green Teams will compete each others in a series of amusing tests - besides obviously the recycled regatta - outside and inside the water. RE BOAT ROMA RACE remains the spearhead of the event. 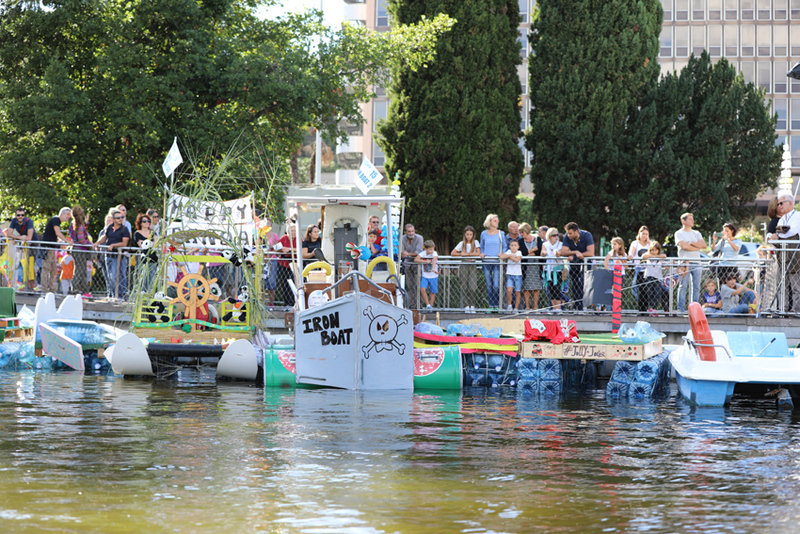 And this year the regatta of boats made with recycled and reused material, which involves the design and the construction - by the Green Teams composed mainly by families, associations of the third sector, sports / summer centers, foster homes and groups of friends - of its own recyled boat, becomes GLOCAL and INTERNATIONAL. The recycled boats are coming from all over Europe and from the territories of the Lazio coastline will then compete each others in an absolutely innovative regatta at the Central Park of EUR Lake. 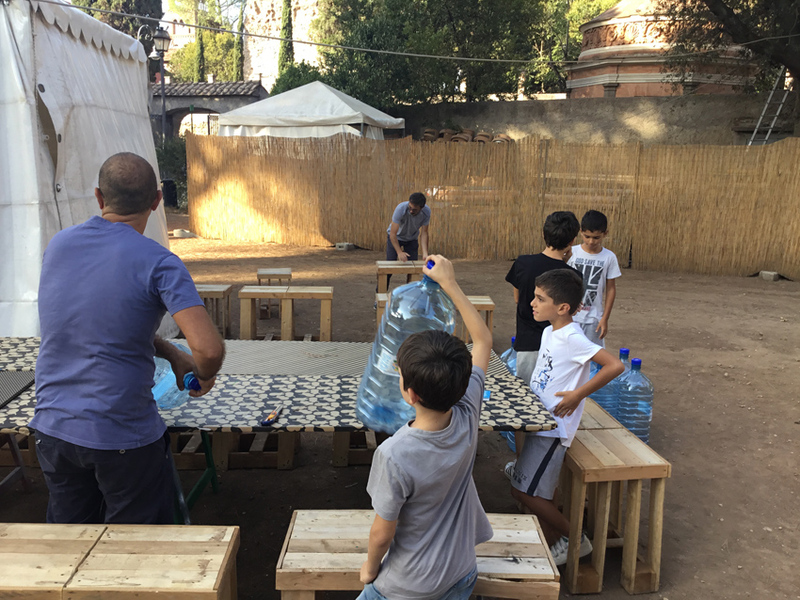 The construction site of the RE BOATS will be opened in LA CITTA' IN TASCA, a twenty-year event of the Roman summer dedicated to children and young people of Rome at the Scipioni Park. 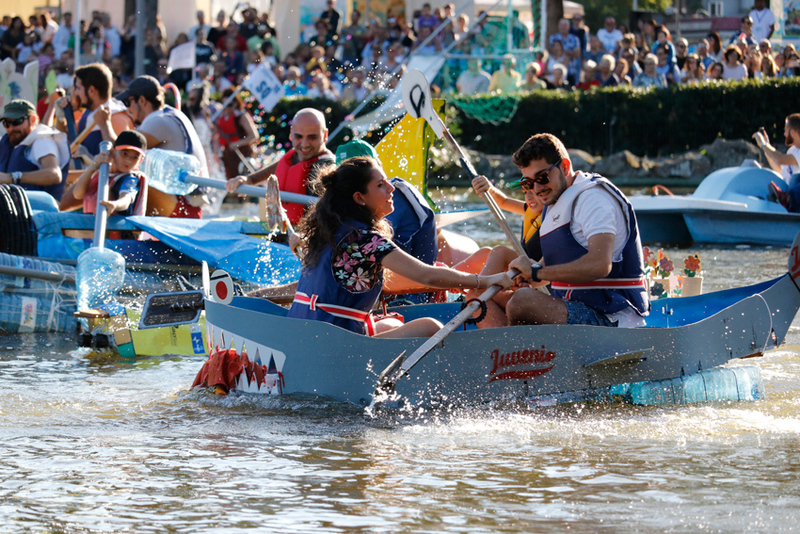 In the context of La Città in Tasca, the Teams wishing to participate to the RE BOAT ROMA RACE will be able to build their recycled boat in complete safety. LA CITTA’ IN TASCA , XIX Edition, was born in the 80s with the Rome Onlus Arciragazzi to promote urban spaces always more and more child-friendly. During its first edition it was hosted - in Rome - in the prestigious setting of Villa Borghese, of Valle Giulia, and then it moved, in the following years, to the San Sebastiano Park and the Scipioni Park, a magical space to live with sensations and heart: games, tales and imagination of artists, writers and children. The goal of La Città in Tasca is to lead children and young people to experiment new languages, to discover different cultural and social realities, to know and appreciate the arts, to broaden their horizons and to sensitize them, from an early age, to the world of arts for a formative and educational growth. A society that guarantees these opportunities for children and young people, is certainly a society that also guarantees "a better future" for itself. The target of La Città in Tasca is made up of 46% of children - 45% of whom are between 0 and 6 years old - and 54% of adults, parents and grandparents. It is a relaxed target, attentive to the various initiatives proposed, which has chosen to spend its time in La Città in Tasca. Over the seasons there has been a continuous increase in attendance - over 24,000 in 2017 in only 9 days of initiatives - and indirect contacts that have been increased from 300,000 contacts in 2001 to over 3,000,000 in 2017 thanks to a precise communication. 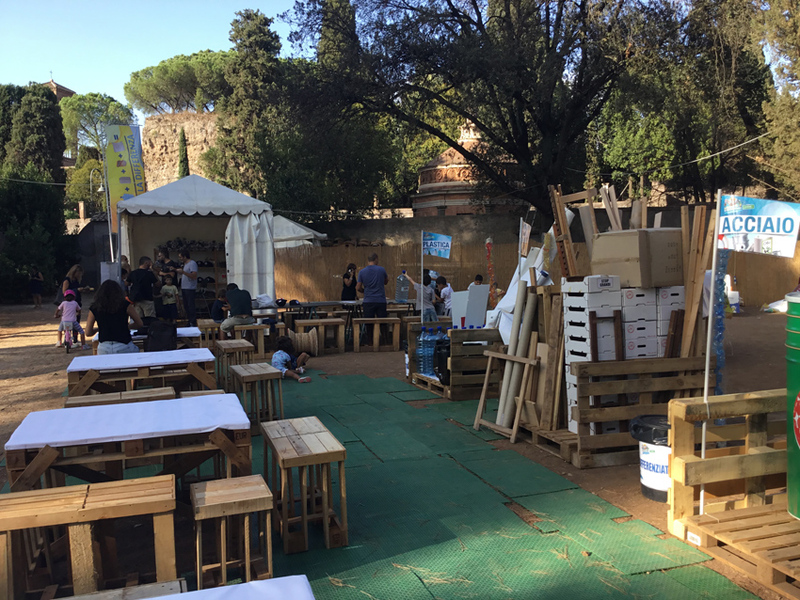 La Città in Tasca has become, in the course of its many editions, a long-awaited summer event dedicated to children, which is part of the large container of the Roman summer. The period of September has always been the most pleasing period for the follower public of La Città in Tasca. Theatrical and dance performances, concerts, meetings with artists and writers of fiction for children, are repeated for two or more weeks as a great celebration. In addition, cinema, TV, radio and science laboratories are held, with exhibitions dedicated to the environment and the multimedia world. Sensitive to the offered social and cultural activities, also influenced by the highly educational context, parents are particularly attentive to the business current proposals, a sign of extreme confidence towards the Rome Arciragazzi and its partners. We are once again talking about recycling while we are waiting for the RE BOAT ROMA RACE INTERNATIONAL. 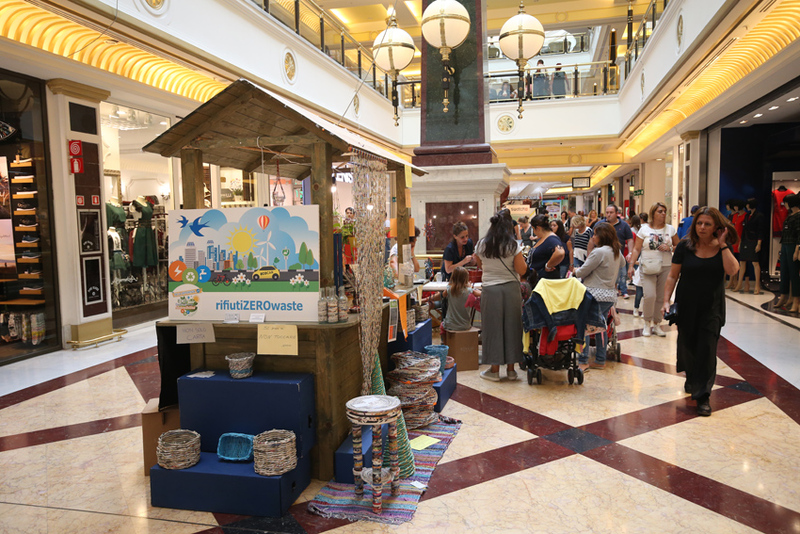 In the atmosphere of the most elegant Shopping Center in Rome, workshops on creative recycling for children will be held, along with promotional activities to invite everyone to the Central Park of EUR lake and see the Re Boat challenge. 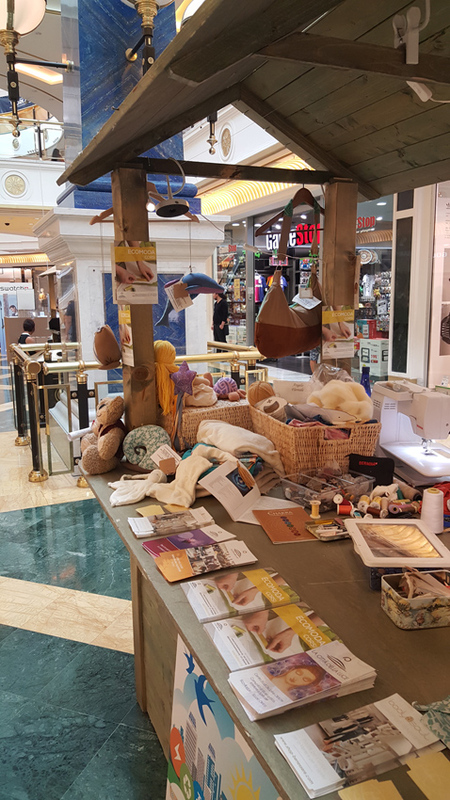 In this context there will be some workshops on creative recycling and promotional activities in the Euroma 2 Shopping Center to present the activities of the final weekend. 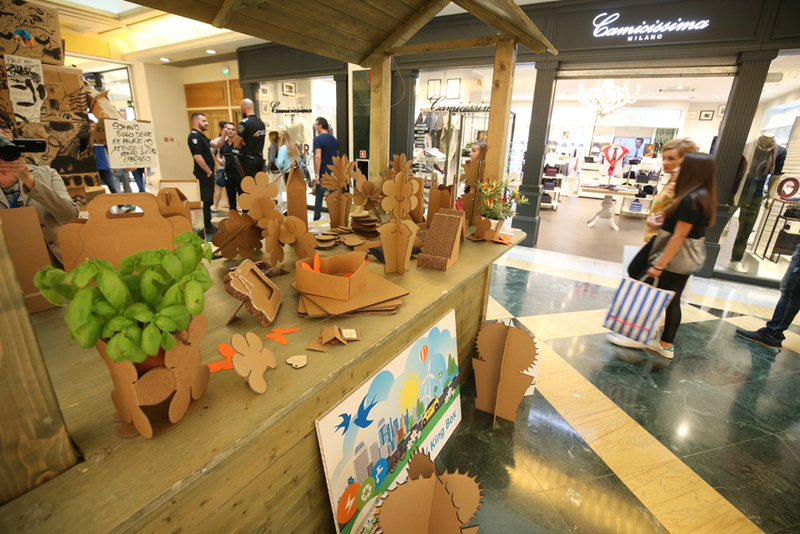 The specific creative workshops will be dedicated to wood, plastic, paper and steel, will be carried out in specific areas, with activities aimed to raise awareness of the environment through dramatizations, readings, games and creative experiments to get the public emotionaly involved. 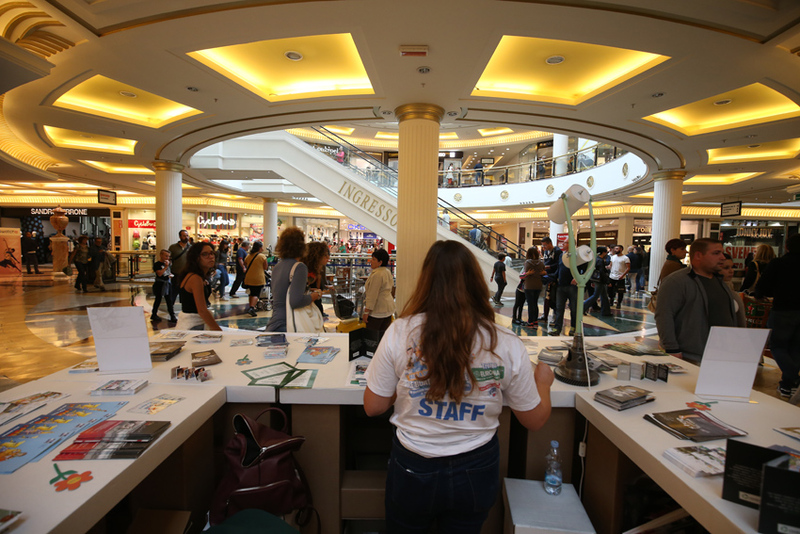 Before summer we talk about sustainability and circular economy in the most elegant Shopping Center in Rome, where we will find out successful events of the latest season and a novelty that anticipates the event of RE BOAT ROMA RACE. The CONTESTECO is the most ecological online contest about sustainable art and design of the web, today METRO NEWS AWARD. The creation of a FESTIVAL OF SUSTAINABILITY, which will present ideas and proposals related to the environmental protection, sustainable enterprise and craftsmanship. 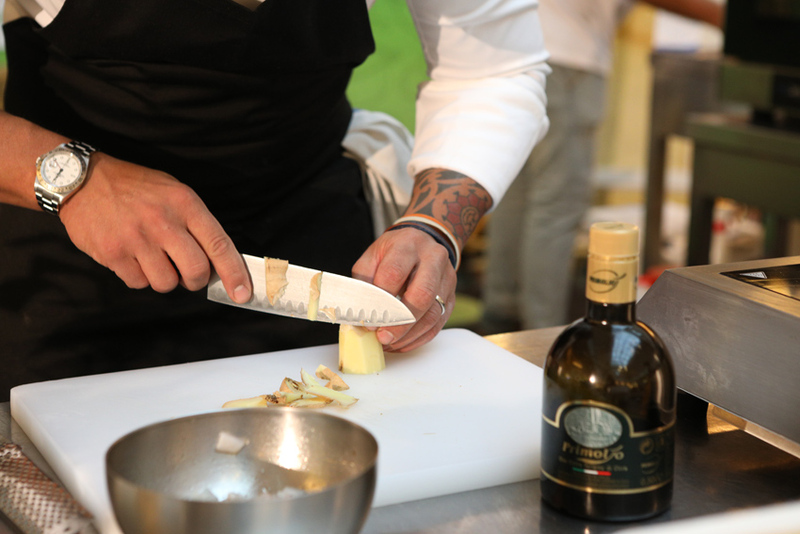 A real Show Cooking dedicated to the Recovery of Tradition and the Re-discovery of Genuine Products. 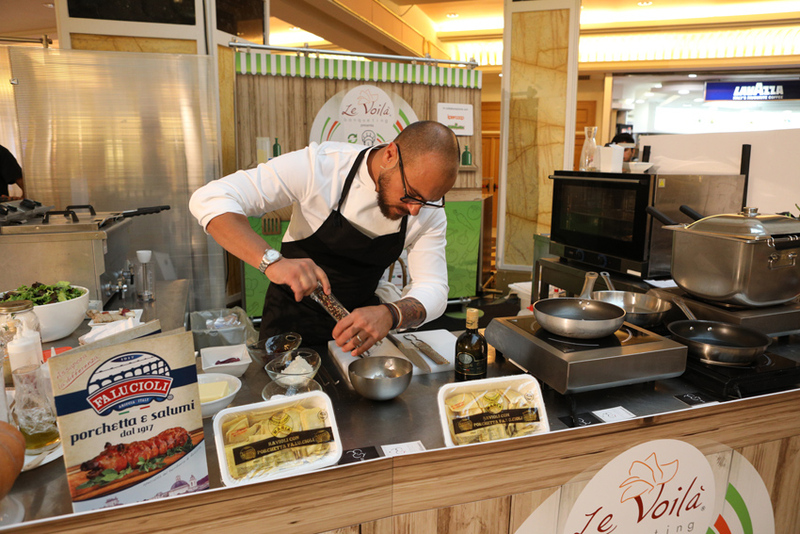 Real demonstrations will take place, to highlight the skills of some chefs who, through "live" culinary performances, will volunteer themselves to tell and to reinterpret some traditional dishes of the Mediterranean cuisine, to best use "excellent" products, to recover product scraps (eg potato peelings) and to turn them into ingredients for real recipes. 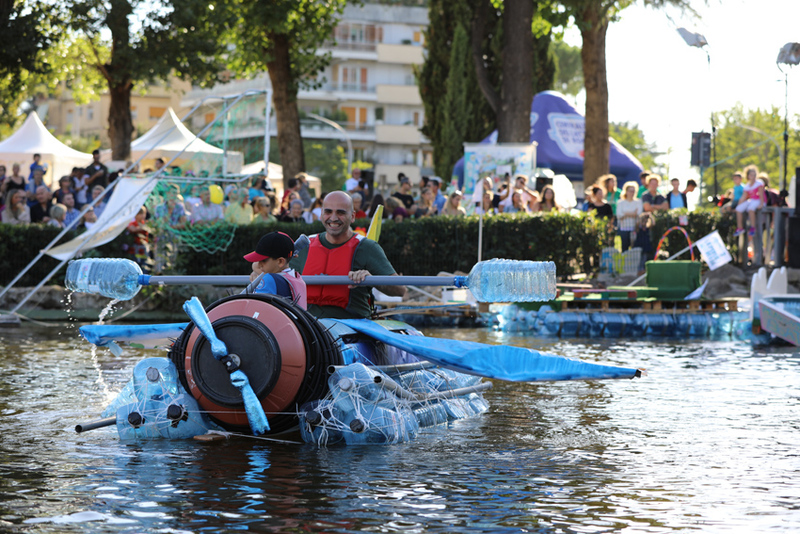 The specific workshops, which will take place in the areas dedicated to them, will involve all those who want to get involved and participate to the Re Boat Roma Race, starting from the preliminary phase - perhaps the most important one - dedicated to the design of their own Recycled Boat. 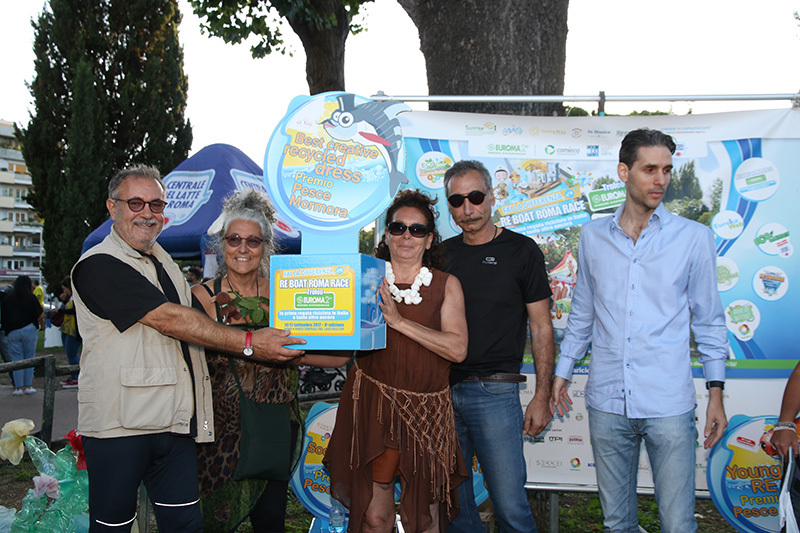 The final regatta and the other recreational / sporting initiatives - such as the ECO GAMES - will take place still for this season at the Central Park of EUR lake in Rome. 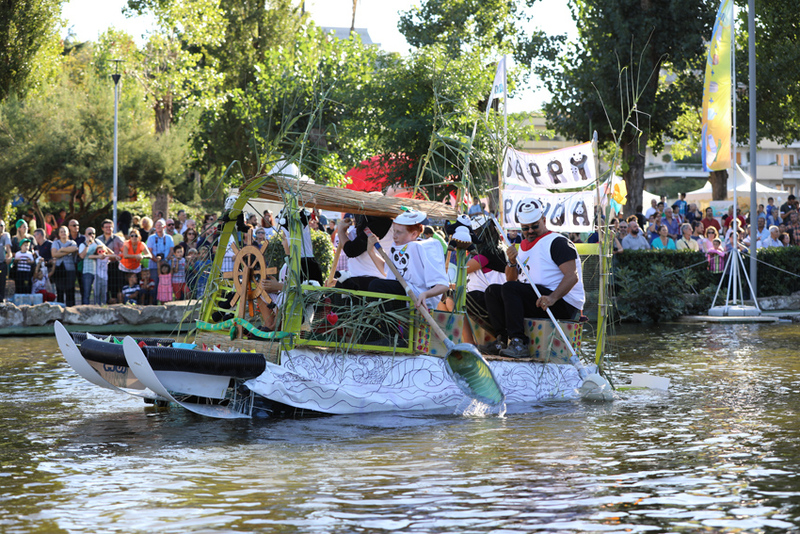 RE BOAT ROMA RACE, the regatta of boats made with recycled, reused and recycled material, provides for the design and the construction of one recyled boat of your own. The ECO GAMES remember the so exalted "THE WIDE WORLD OF SPORTS" but in an ecological key. Also for this season the RE BOAT ROMA RACE will be twinned with LA CITTA’ IN TASCA and the RAFIOT CYCLE', the youngest transalpine recycled regatta, which will take place in the French High Alps to the "Base de Loisirs La Germanette", which has led to a full and fruitful international collaboration. The core of the event - beyond the RE BOAT ROMA RACE - will remain, as previously described, the same of the latest season with some initiatives that will be repeated again such as CONTESTECO, the most ecological online contest about sustainable art and design - today METRO NEWS AWARD - in which enthusiasts and artists can propose their art works made with recycled materials through the web : the works will be chosen in the first phase by some experts, then will be voted by a qualified jury and a popular online jury; however all the chosen creative works will be visible in an exhibition space in the EUROMA 2 Shopping Center, as finalists. 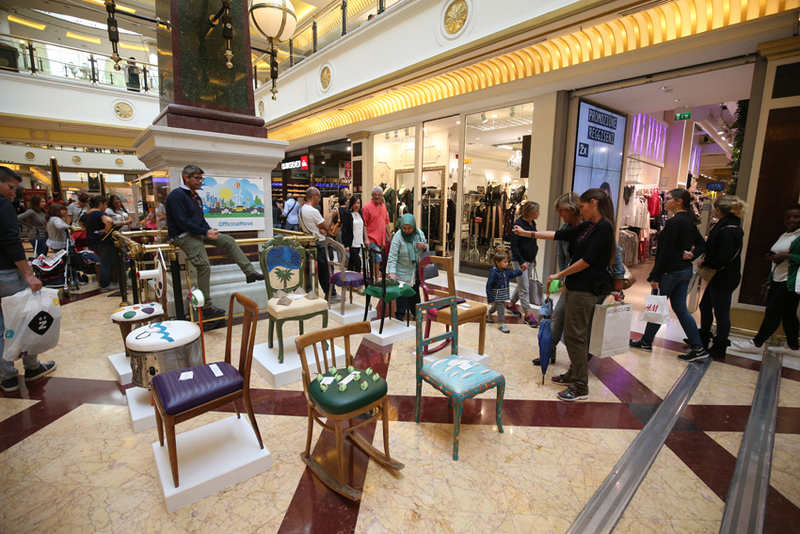 Visitors of the EUROMA 2 Shopping Center will be also able to participate actively by choosing and voting for the exhibited works that will be awarded in the context of the meeting / work-shop named THE GOOD RE-ACTIONS that this season - always managed by MAURO SPAGNOLO Director of Rinnovabili.it - will take place at the location of the Central Park of EUR lake in Rome. Indicating creative techniques different from the usual ones. To create a creative space where to recover the ability to listen, to be together, to wonder, to share, to pay attention to people and things that surround us, to compare and reconcile them with our knowledge and our skills; an intergenerational space that provides a range of proposals that can also be shared by different age groups. 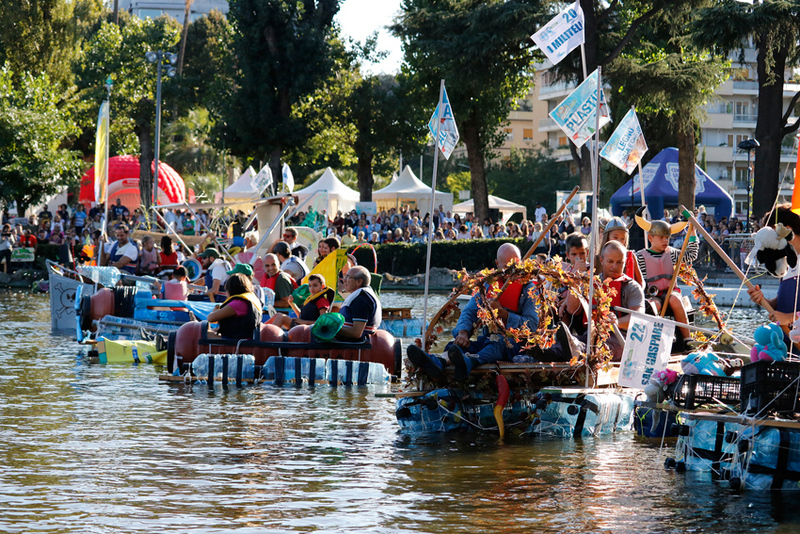 The audience that discovers and participates - as spectator or as protagonist – at the event "FAI LA DIFFERENZA, C'È ... RE BOAT ROMA RACE" is composed by a transversal and intergenerational audience that comes in connection and confronts itself with a very inclusive and playful, sporty, cultural and ecological project. In the different construction site of RE BOATS that have been opened in the latest seasons and that will be opened in the next edition of the PROJECT, the Green Teams, made up of children and parents who want to participate to the RE BOAT ROME RACE, will be able to build - in complete safety - their recycled boat and thus challenge all the other eco-crews who have decided to build their boat in their garden, in their own garage, in their sports center / summer center, in their own bathing establishment, in their own company, in their own school. groups of friends and sportsmen, passionate about the somewhat crazy challenges, who decided to use their free time to design and build a recycled boat and want to launch a message with us: the resources of the planet are not limitless. In fact, the 19th of August 2014 the Global Footprint Network indicated the overshoot day: this means that we have taken more resources than we would have had available until December 2014 at the actual value of the planet. Since the 20th of August 2014 we are in debt, taking away goods to the future because ecosystems are no longer able to regenerate them. Plants, clean air, fertile soil: the planet is no longer able to replenish resources and absorb waste and the deficit is growing up from season to season. This season, as happened in other editions, will be dedicated with a particular attention to the involvement of associations and non-profit organizations that work with disabled people or in a state of social discomfort to ensure that everyone has the opportunity to participate, to make the difference and to have a fun. With FAI LA DIFFERENZA C’E’... RE BOAT ROMA RACE we want to share values and understand better - with the support of all the participants and all the actors involved - what it means SUSTAINABLE DEVELOPMENT and CIRCULAR ECONOMY and how we can apply them at best and in a good way. 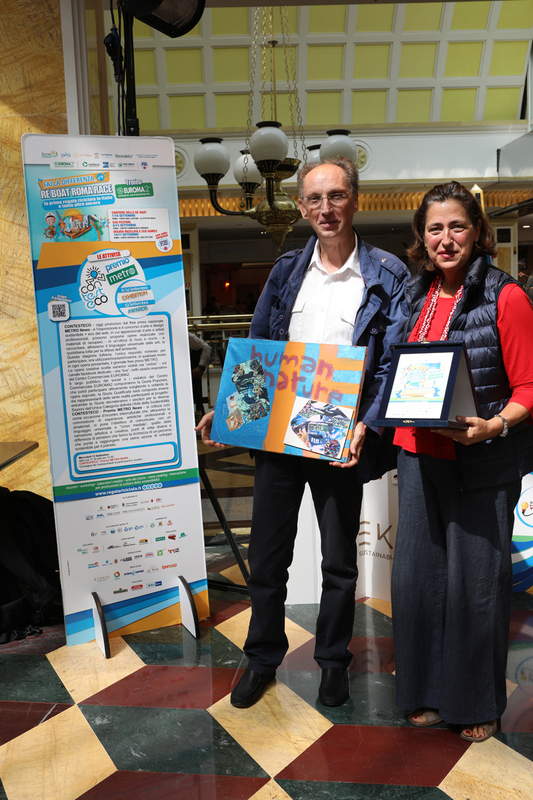 As already mentioned, the collaboration with METRO News Italia will bring an International novelty: the likely participation of several international recycled boats that will represent their metropolis, in RE BOAT ROMA RACE INTERNATIONAL. Finally, we think we can overcome more than 9,000,000 direct and indirect contacts on the local and national territory, calculated in relation to last year communication activities, and without any doubt being able to increase those overall contacts by 30%, thus coming to count about 15,000,000 direct and indirect contacts in this new season. 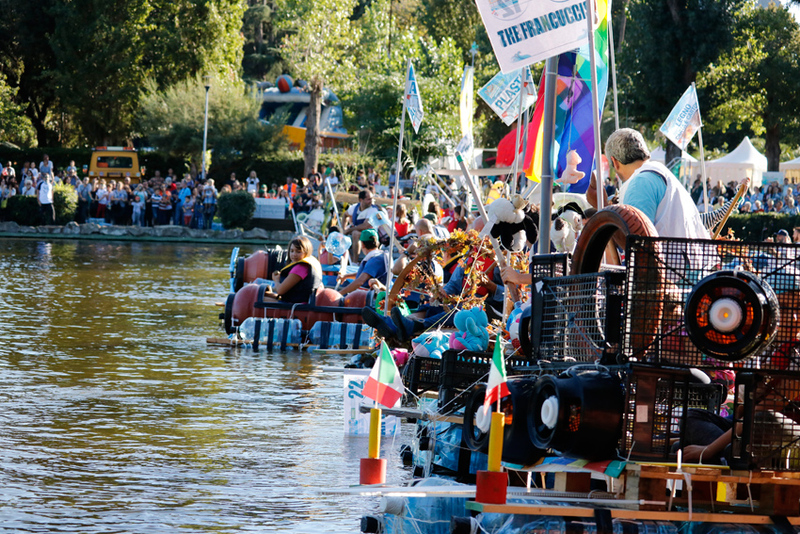 In the past editions of the FAI LA DIFFERENZA C’E’… RE BOAT ROMA RACE, joy and creativity formed the basis of the success of the event, which with its RECYCLED REGATTA, is characterized by its uniqueness and innovation in the field of educational activities and eco-sustainability. 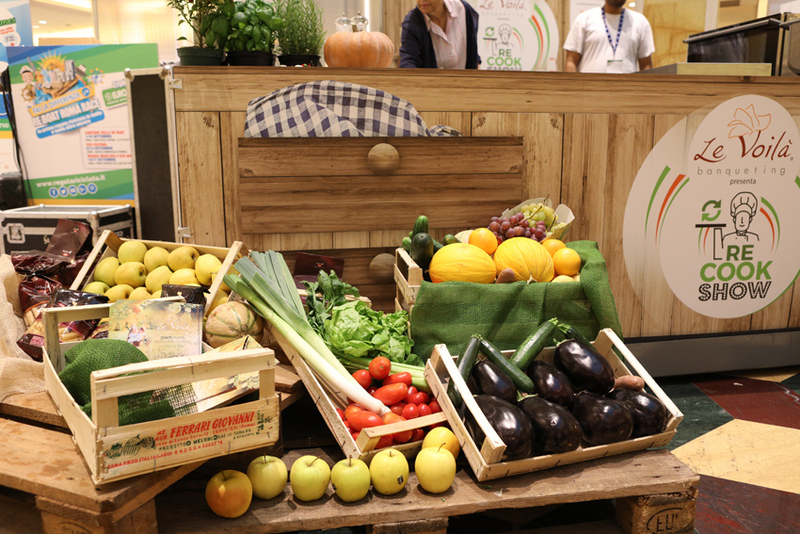 Success also decreed by the many visitors and by the many supporters who participated in the project FAI LA DIFFERENZA held from 6th to 13rd September 2017 at the Euroma2 Shopping Center and from 14th to 18th September 2017 in the beautiful setting of the Central Park of EUR lake. The whole project and the final regatta - in all the past seasons - were supported by a communication strategy, which used the qualified guarantee of the "old" means of communication", and however have ridden on a wave of influence that the "new " means have, like social networks. A winning mix that has allowed excellent dissemination of the project / event. The communication activities, which were carried out, have been supported by the various promotion phases and both Above the line and Below the line advertising forms have been uesd. To promote and to advertise in a detailed manner in the territory of Rome, the Province of Rome, the Lazio region and at the national level, the event in its complexity with its goals and purposes, to reach a wide and a transversal audience - in particular the young and very young - through the use of both the most classic and innovative media, such as the internet and social networks; to involve the public actively in the cultural, artistic, recreational and sport activities proposed and realized in the different phases; and in particular to make the event successful. To create an ever-increasing stream of audience and participants. To highlight and to promote strongly, through a promotional and an advertising image - direct and powerful - the role of sponsors, promoters and partners. In the event, regional and national media have been involved in the two past seasons through co-marketing operations. Television and radio networks, big specialized INTERNET portals supported the event as a MEDIA PARTNER. Economic resources have been invested to communicate online the event in its complexity. We have also increased communication, from a promotional and advertising point of view, with the use of media already used by the EUROMA2 Shopping Center in its Institutional advertising and communication activities, in which we can underline its online magazine, the commercials on air on monitors and wide internal communication formats inside the Shopping Center (tri-facial totems, banners and flags). The communication plan in the last seasons has been divided into 3 different phases, which has followed the project / event in all its stages. Each phase had its own precise goal and this allowed the communication to be carried forward effectively. 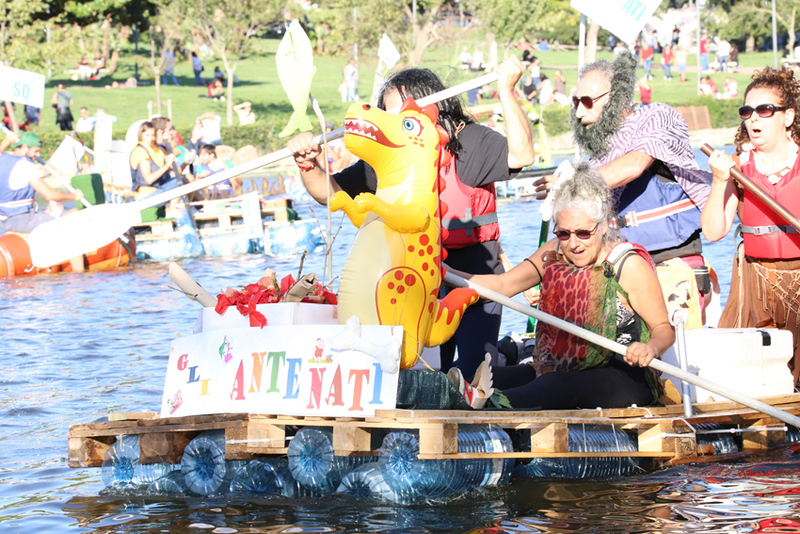 Objectives: to invite the "recipients of communication" to enroll themselves in the recycled regatta and to build boats with objects of recovery and recycling; and to participate to all the side initiatives (see Contesteco). Objectives: to invite the "recipients of communication" to discover the construcion sites of the RE BOATS and to participate as a Green Team at the Re Boat Roma Race International. Objectives: to invite the "recipients of communication" to visit the spaces where dedicated activities are held (the EUROMA2 Shopping Center, the Scipioni Park, the Central Park of EUR lake) and to participate into a real funny, crazy and colorful ECO-FESTIVAL , dedicated to sustainability and ENVIRONMENTAL HEALTH. For the advertising activities for the IX edition of FAI LA DIFFERENZA C’E’ ... RE BOAT ROMA RACE we can now count on important partners such as METRO the International free press, ROME Agency for Mobility, RINNOVABILI.IT the daily news dedicated to sustainability environmental and the monthly ACQUA & SAPONE. The SMEs, the Companies, the Consortia, the Federations and the Associations of the sector, the Start Up who want to marry the initiative and its philosophy, can take advantage of different PARTICIPATION FORMATS, with personalized BENEFITS, choosing to support the event in quality of PRESENTING TITLE - of some different initiatives - or MAIN PARTNER; or again as OFFICIAL, TECHNICAL, GOLD PARTNER or simply EXHIBITORS. Every organization can find its "position" and, above all, a great visibility and a strong return of reputation towards its employees and its stake holders.